Sign Up, Get 15 Free Designs! Just fill out this form to register for our monthly newsletter full of design tips & receive 15 completely FREE illustrations. We never spam, and we respect your email privacy. Art Outlines make starting your design project simple, easy, & quick. Whether its a wedding invitation, business card, personal stationary, baby announcement, book, website, blog, etc.. we provide the inspiration, starting-point, or final product. Art Outlines vectors are elegant enough to use as is, or provide the first step for colorized or detailed creations. inspiration and the framework for so many of my cards." If you've ever looked for a specific outlines-only vector illustration on a search engine, you know how frustrating it can be to find the style you're looking for in the resolution that you want amidst a flurry of outdated clip art. Good graphic design & illustration doesn't have to be complicated. We've taken the pain out of the search, and made it fun too. Art Outlines are perfect for wedding invitations, save the date cards, holiday cards, greeting cards, personal stationary, baby announcements, t-shirts, apparel, textiles, advertisements, websites & blogs, novels, comics, books, magazines & newspapers, business cards, and more. From letterpress printing to digital to offset... we've got it covered. Each illustration is elegantly handcrafted by our skilled designers for the sole purpose of inclusion in our collection and being used by you. Drawing on our experience in all different backgrounds coupled with both modern and historical research, we've assembled the perfect collection. We're damn smug about our beautiful collection. So smug in fact that we offer a 30-day money back guarantee. Try before you buy--for free! No risk, no hassle, no worries. We're sure that you'll love our funky hand-drawn custom graphics as much as we do. If you're unhappy with Art Outlines for any reason, just send it back--we promise we won't cry (much). 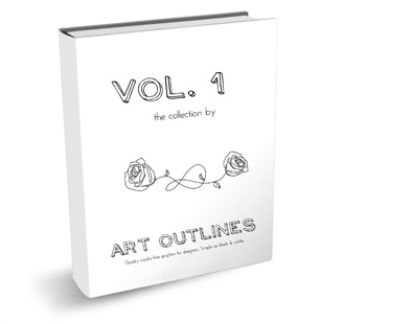 What Is Included In An Art Outlines Collection? How Can I Use Art Outlines? wedding invitations, save the date cards, etc. Why Choose An Art Outlines Collection? Easy to use: if you've ever searched for a specific outlines-only vector illustration on a search engine, you know how frustrating it can be to find the style you're looking for in the resolution that you want at the price that's right for you. Art Outlines takes the pain out of the search, and makes it fun. Simple: Art Outlines eliminates the unnecessary elements and provide black-and-white outline illustrations. Simple enough for quick & easy manipulation, elegant enough to use as a final product without changing. With Art Outlines, you'll never waste time searching through pages of low-resolution, disorganized, or poor quality vectors & then deleting all the unwanted bits of these colorized, complex graphics. Art Outlines provides the framework for your masterpiece. simple as black and white. High-quality: Each illustration is elegantly handcrafted by a skilled designer for the sole purpose of inclusion in the collection and being used by you. This isn't a compilation of various, scattered pieces from the web, but a work of love tailored for you. Drawing on experience in all different backgrounds, coupled with both modern and historical research, we've assembled the perfect collection. Diverse: Art Outlines graphics are suited for professional graphic designers as well as students and first-timers. They look excellent in print and online, in brochures, magazines, books, websites, letterpress printing, offset printing, digital printing... if you can dream it, art outlines can fulfill your need. 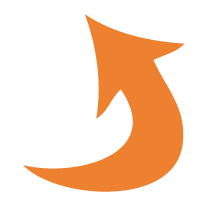 Royalty-free: Except for direct repackaging and resale, I grant you total legal control to use Art Outlines graphics in any way you choose (direct use, derivatives, commercial, private, for profit, etc) when you purchase a collection from this website. Sharing is caring, after all. Wide selection: with graphics to choose from in every category imaginable, you will undoubtedly find the image to inspire you to action every single time you look. Portable: whether you're working in the office or at a coffee shop in berlin, you can access your Art Outlines collection. Scroll through the jpegs for quick inspiration, then open your specific graphic from the PDF digital download directly in photoshop or illustrator. What Is The Selection Offered? join our mailing list, Get 15 Free Designs!